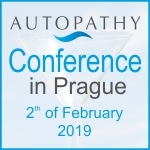 Webinars introducing to the basics of autopathy are organised in English for international therapists, medical practitioners and persons interested in self-healing. Autopathy helped already many people.View, or read testimonials from concrete persons. Find autopathy consultant in your area.